THE EPO has announced (warning: epo.org link) and reiterated that a new man started his job as head of Team Battistelli (all the same top-level management) while IPPro Patents did some more Battistelli puff pieces even 3 days after he had left. “The latest Team UPC lies from Bristows have also in fact been boosted. Apparently, they are now paying to repost their lies, inserting these lies into Google News etc.”Life goes on at the EPO and the new boss looks a lot like the old boss (just more like an ‘orange president’, but not Donald Trump). According to this morning’s tweets from Team UPC, e.g. [1, 2, 3], António Campinos is already pushing for an unconstitutional abomination known as UPC. 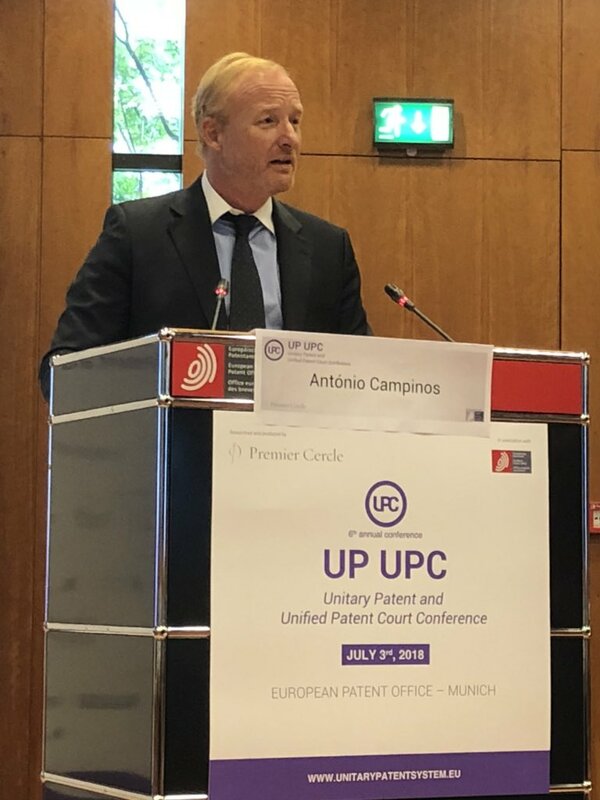 Team UPC is happy (“Ready for the today UP&UPC conference at @EPOorg Munich”, “António Campinos, Président of the European Patent Office, introducing the today UP&UPC at @EPOorg Munich” and “Campinos gives the opening remarks at the #UPC conference – the first major act of his presidency”). It is well known to the patent practitioner that the smart choice of the closest prior art has a big impact on the assessment of the presence of an inventive step (or the lack thereof). According to the practice of the Boards of Appeal, the prior art document is typically one which is mentioning the same or at least a comparable object to be solved as the claimed invention, and additionally then has also the most relevant technical features in common. Especially, the aspect of “the same object to be solved as the claimed invention” can obviously lead to a very artificial prior art assessment, especially when applying the so-called problem-solution-approach developed by the EPO. The aspect “same object as the claimed invention” can result in an artificial choice of a prior art document, which may well have a comparable object to be solved as the claimed invention, but otherwise not a lot to do with the claimed invention. On the other hand, relevant documents which would not need a big structural modification to arrive at the invention are sometimes disregarded for lacking an indication of the same purpose or object to be solved. With the UPC they hope to interject a lot of software patents, patents on life etc. into countries that explicitly ban these. They try to work around laws and constitutions. This is something that Campinos now puts his weight behind.